Deborah Hall has been rated by 34 clients. “Deborah did a great job from start to finish making the sales process very efficient and effective. We chose Deb based on her extensive realestate experience, knowledge of the local market, and strong marketing campaign. We also appreciated her prompt responses and consultative approach on how best to market our property. Deb did a great job managing the sales and closing processes. Keeping us updated while managing the details with minimal effort on our part. 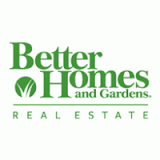 “Deborah Hall is an outstanding broker, always trying to understand our needs and wants. We really felt she was always on our side, looking out for the best deal and conditions for us. We were blessed to have her guide us through our buying experience. The knowledge that Deborah Hall has of the market and the purchase/sales process is superb. She asked the right questions to the builders, and always made sure that we understood the terms. She tirelessly and happily drove us around our areas of interest, and quickly grasped what we were looking for. She helped us to locate and put an offer to a house in just 3 days, during our first home hunting trip to Houston! “Mrs. Hall and Susan were exceptional. My experience was so much better than I expected. I had not worked with Mrs. Hall before, so I only had my past buying and selling experiences (and a referral from a relative) to base my knowledge upon. I've worked with a good realtor before now, but Mrs. Hall is by far the most exceptional realtor I've ever had the pleasure of working with. She anticipated my needs before I did, and I trusted her expertise at every step of the process. All of our communications were prompt, professional and polite, and thanks to her, I found a house I absolutely love. Susan, her office manager, quickly sent me everything I needed, including a list of local service providers (extremely helpful). I couldn't have asked for a better team of folks to help me get through this process. While I find buying and selling houses somewhat stressful, this home purchase was not stressful at all. Mrs. Hall was so on top of her game that I didn't feel the need to worry. “Absolutely fantastic, became a part of the family after making us feel so welcome and part of hers. Excellent, timely, round the clock support. Prepared and willing to do anything anytime for us in our search for a home in Houston in a week. Took our five children with us and not a problem. She ensured they enjoyed the whole process as well. Kept them entertained, fed and hydrated. “Excellent recommendation from several colleagues. Sylvain Hantzer and Karen Stokley, Fairfax, Va.
“Deborah Hall provided us with over and beyond help during our home purchasing experience. She had the enthusiasm, energy and practical knowledge that we needed, and she handled our difficult situations (buying from overseas, high expectations) with great care and kindness. ABR is Accredited Buyer's Representative. IABS is Information About Brokerage Services. This PDF lists all the people/names/numbers that you need to know per the Texas Real Estate Commision.